David Bromley has been kind enough to write us a nice little guide about how easy it is to develop at home. 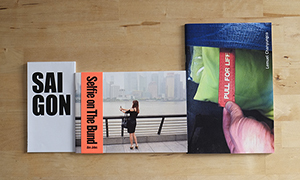 This is not the first one featured on the site, but you know what, you can never have too many. Come and see how easy it is to do it. So, your DSLR just isn’t doing it for you any more so you’ve changed to film, good on you. Film photography can be much more satisfying and fun to do. 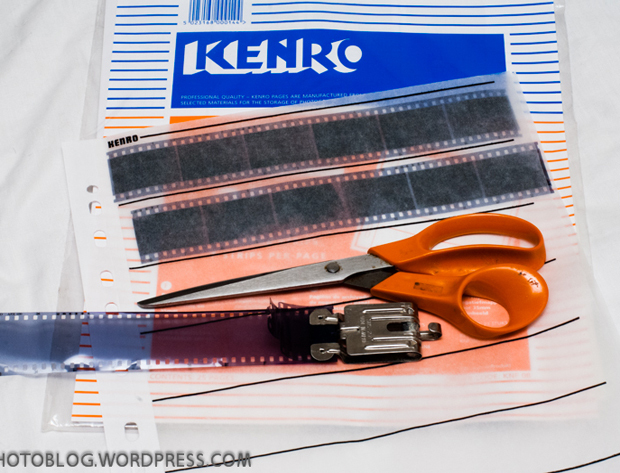 Processing your own films at home is fun, satisfying and easy if you have the right equipment. It will also save you lots of money in lab costs. I am not a pro photographer or an expert, just an enthusiast who loves photography. 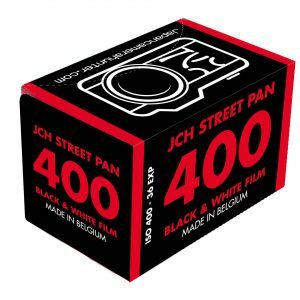 So here is my beginners guide to developing your black & white films at home. Here is a list of the things you will need. The brands I mention are just what I use personally, others are available. I have a Paterson Universal Tank. 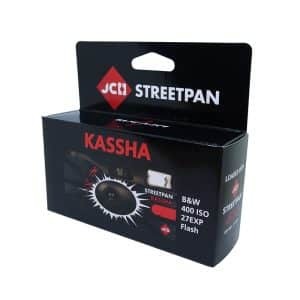 It came with 1 reel which can extend to hold 35mm or 120 roll film. 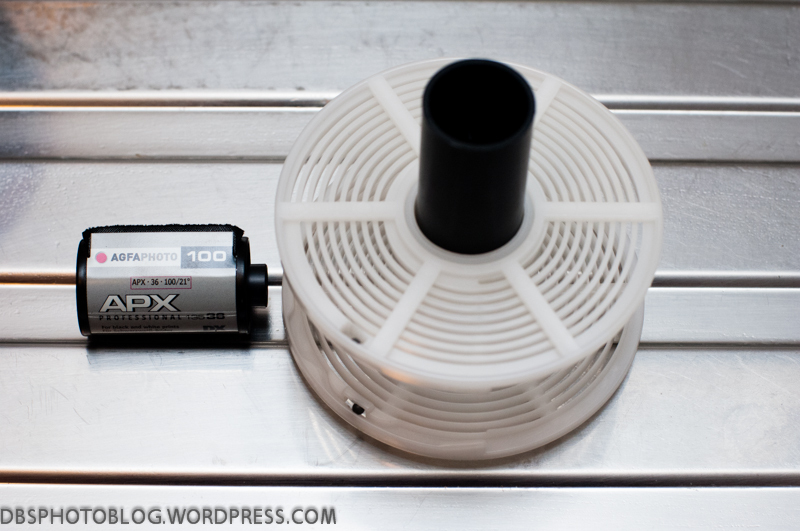 This is the tricky bit, getting your exposed film onto the reel and in the tank in complete darkness. It will take a bit of practice. 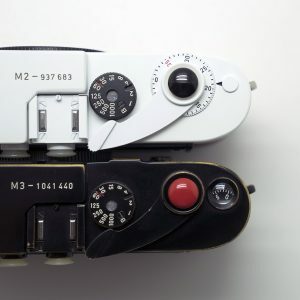 If you are winding the film back in your camera manually then try not to wind it all the back into the canister, that way you can get a head start in the light. Other than that, this step must be done in COMPLETE DARKNESS. I block out my bathroom window with cardboard. If the film is wound all the way into the canister then you can either buy a film retriever or pop the top off the canister with a bottle opener. I recommend the bottle opener, it is much easier, but make sure the light is off! If you have the odd cheap film lying around it may be worth wasting it to practice loading the reel in the light. There is nothing worse than turning the bathroom light on and finding the film is on the floor and not in the tank! Once the film is locked in the tank you are ready to dev. First of all you need to prepare your chemicals. Depending on what combination of film and dev you are using will determine what dilution and time is needed. For this example I used AGFA APX100 film in Ilford Ilfosol 3. The dilution is 1+9 and timed for 7 minutes. I use 500ml of solution in my tank so I mixed 50ml of dev into 450ml of water at 20°c. You will need to check the label for times and dilutions. 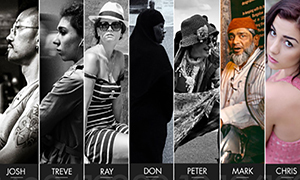 Ilford offer all documentation for their films and chemicals on their website. Once the dev solution is in the tank, leave for the allotted time, agitating occasionally. When the developing time is finished, carefully pour the solution down the sink. Your Ilfostop should be mixed and ready to pour into the tank straight away to stop the development. Ilfostop dilutes 1+19 plus it can be used more than once. The times don’t have to be exact, a couple of minutes will do. Then pour it into a storage bottle, the solution will change colour when it is exhausted. 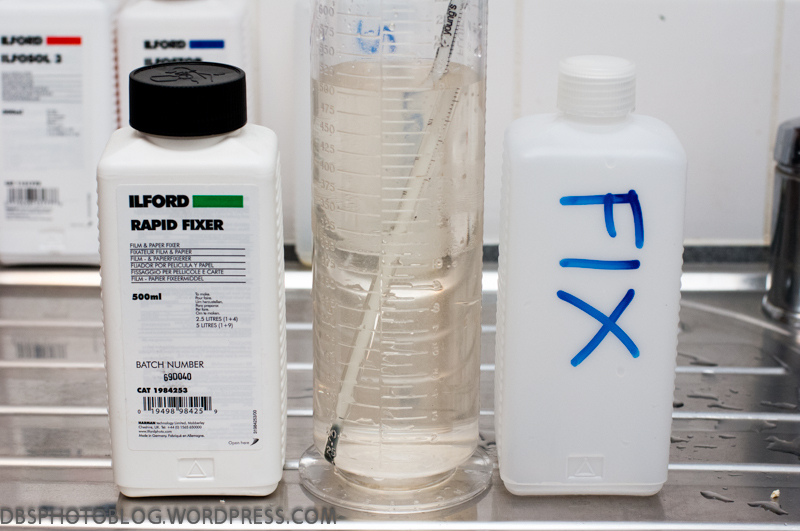 Your rapid Fixer solution should also be mixed and ready. I dilute mine 1+4. I usually fix my film for around 5-10 minutes. Fix is also reusable so have your storage bottle and funnel ready. 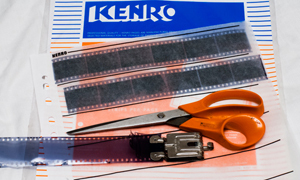 Once the fix is out, your film is light proof. It still needs a good wash though. I take the top off the tank, leave it under a running tap for a few minutes and give a good dunking. You can buy special washing solutions to stop your film drying streaky. Add this if you want but I’ve never used them. Once the film is washed, remove it from the reel and attach a film hanger to either end. 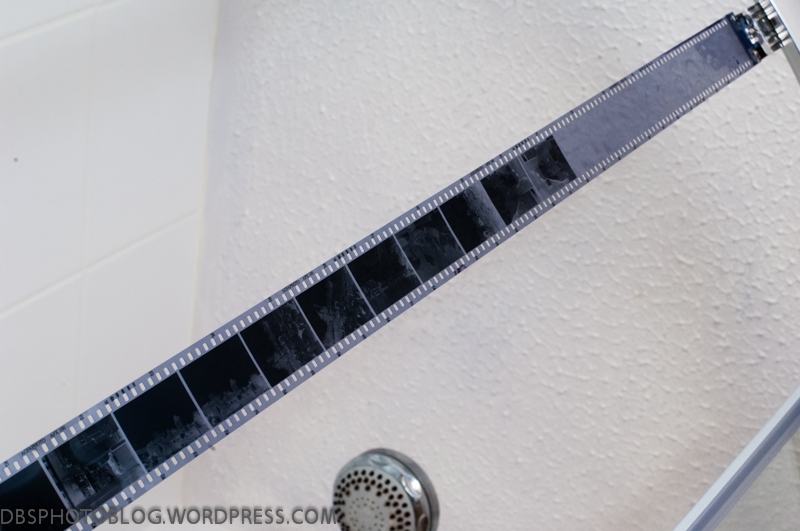 It is important to remove the excess water from the film. You can buy a specialist squeegee for this but I use paper kitchen towel folded gently around the film. Now hang it up to dry thoroughly, wet film can damage easily so hang it somewhere where it wont get knocked off or is dusty. I hang mine in the shower cubicle over night. 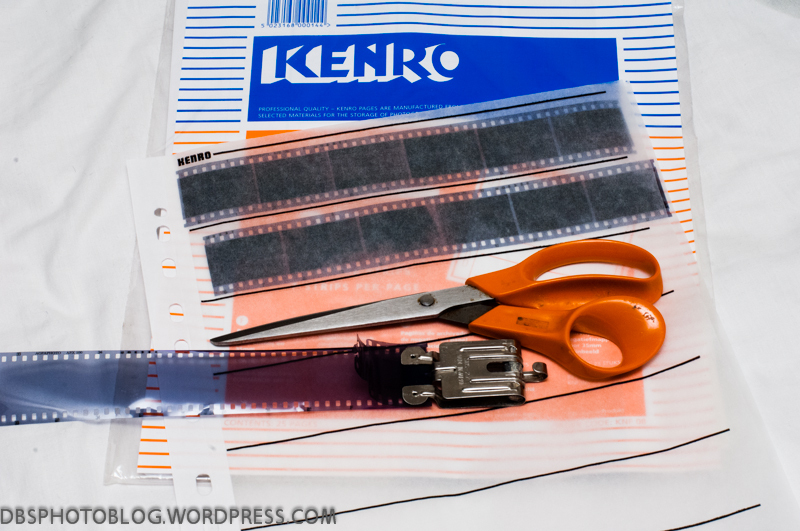 When the film is dry cut it into strips and store it in dedicated archival products, I use Kenro, which hold strips of 6. So there you go, your film is developed and safely archived, ready for printing or scanning. I hope you found this guide useful and enjoy developing your films at home. 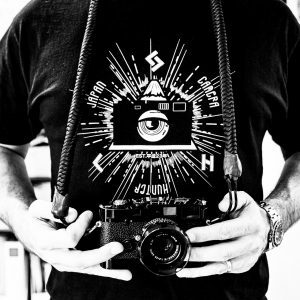 David has his own blog, which covers film and photography. Check it out to see more. btw if you are still new to this, and do not have a total dark room, you can also use a changing bag as an option……. then you can watch your favourite game/movie while you reel the film. how many rolls of films can I develop from the chemicals if I use it from full to empty? Greatly depends. I take it that you’re referring to the developer (I’ll get into other chemicals later). Developer like Kodak T-Max developer is quite expensive because it will last about 10x development (where you develop 2 rolls in a tank each time). On the other hand, Kodak HC-110 will last forever from the same amount of bottle. This is because with T-Max you’re using ~100-200ml to dilute (even more if you push-process), whereas HC-110 requires about 20-40ml ish. 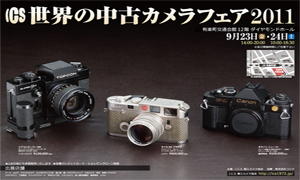 I think stock solutions like Kodak D-76 or Ilford ID-11 has similar longevity like HC-110. Fixers, once diluted and stored properly can be reused for 5x development (that’s what I do). Stop bath and washing liquids (I highly recommend this) will last forever as you only used few drops at a time. OOh, I forgot to mention: A good Photographic final rinse: Agfa Agepon, Rollei RWA contain antistatic additive. When dried correctly ( not wiped away ) will have antistatic qualities: You can drop the dry negative to floor, blow the dust away and there will be NO DUST left when you scan or print the negative. I was wondering : the solution, should it be put into a bottle to be treated instead of being poured into the sink ? i’m asking because i think those chemicals may not be very good for the environnement and the nature. It’s probably written on the solution bottle what to do with them when used. Nice Tutorial… Some things from experience. Paterson reels have to be DRY..if they are damp the emulsion gets wet and they jam tearing up your film. if the reel isn’t loading smoothly there is something wrong. We used to dry them in a film dryer in the darkroom I grew up in. I wouldn’t pull film back out of a canister across the light trap, you can easily scratch both base and emulsion and in dry environments generate lovely static images on your film. Take something light tight in the room with you, that you can put the film and reel in…you will drop something in the dark. When you have the film in the developer agitation needs to be consistent, I was taught the following..One inversion per minute, so pick the tank up turn it over once tap it gently on the sink to release “air bells” , bubbles clinging to the film. I never use stop bath, just the way I was taught, a wash at temp between developer and fix, not that there is anything wrong with it. Don’t walk away from washing film, I have seen huge shifts in temperature in unregulated water supply’s and occasionally in regulated supply’s. Wash temp isn’t critical as long as it is not to low or high, low temps won’t do the job and vary high temps will produce grain clumping and can melt the emulsion. Extreme shifts can cause reticulation. Someone ask about putting used chemistry down the drain. For the most part the volumes you are using are negligible and should not be a problem, in the US only commercial labs are required to recover silver from fix before sending it into the sewer system everything else simply goes down the drain. I want to add more detail to the washing stage. 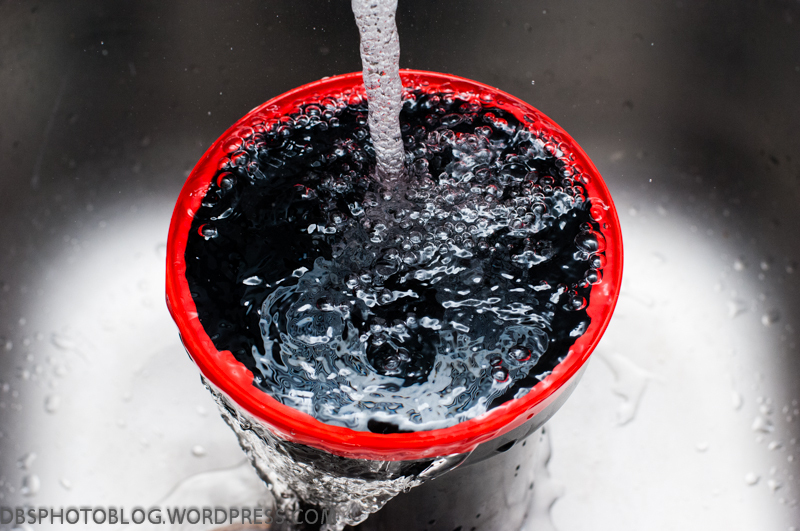 Typically a wash should be 15-20 minutes with running water. 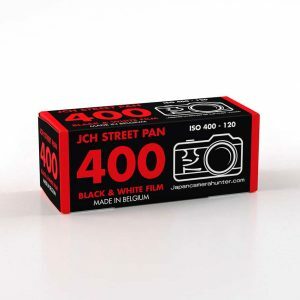 I’ve seen some places on the internet that say maximum 10-15 for fine grain film and minimum 30 mins for fast films. A friend told me “the longer the better” and will leave his film for an hour or more. But 15-20 minutes is a good stand-by and a “few” (which I mentally calculate as 3-5) minutes is inadequate. It depends on where you live and what type of water comes out of your tap but in all the cities I’ve developed in (from Canada to China, etc) not using rinse aid is devastating to film. It leaves hard-to-remove water spots everywhere. 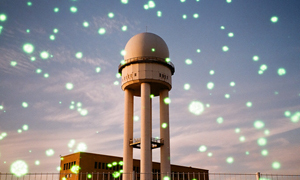 By “everywhere” I mean 2 or 3 or maybe even 6 spots on each exposure. One more tip: Use normal tap water for developer and final rinse BUT BRING IT TO BOIL first so you release the oxygen and calcium. When cooled down, it does not leave marks, but for antistatic purposes I use a good final rinse, Rollei RWA or Agfa agepon. if i use a agfa film and adox adonal developer. where do i read the amounts needed? on the film or the developer? As I said in a comment to an earlier post, I’ve starting developer my own film again (after being spoiled & becoming lazy by c-41 black & white). I noted from Ilford’s film development chart that films can be developed using stock solution (i.e. undiluted) developer. The development time is alot shorter than with diluted developer. I don’t know what other people’s experience is (and I’m still new), but I found I had better results with undiluted developer. Is that typical? I was lucky to get some free equipment from my camera club. Just to share some info for others as I just started out. If you don’t tend to shoot much. Go for a smaller sized powder developer it makes 1L of stock and last 6 months. 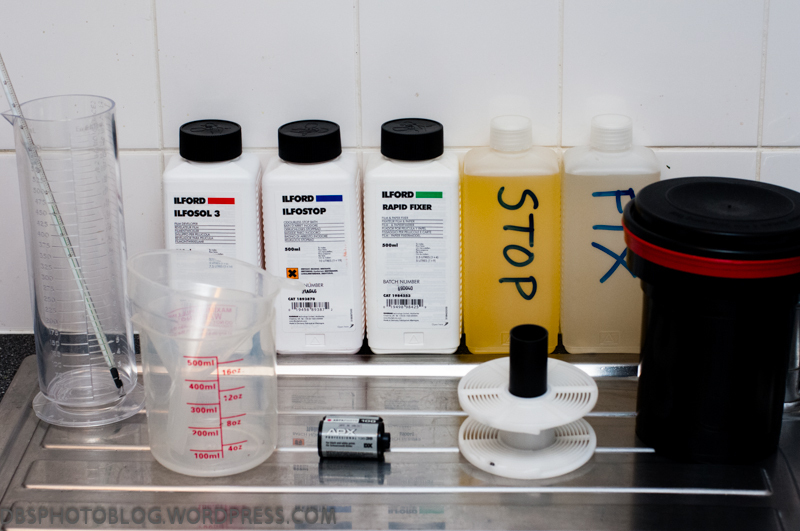 On a 1+1 mixture so 150ml of water and 150ml of stock developer – it does 6 rolls. You can it undiluted at 300ml of just developer stock. You can also use 1+3 but I was told that quality may go down. The LC29 liquid is a high concentrated developer but the issue to me was if you don’t shoot much you might end up with expired stuff, you can transfer liquid developers into smaller bottles or use collapsible bottles but one guy said they expand by themselves – but they still only last 2 or 3yrs on paper (ref Ilford). With a powder developer you can do 6 rolls for eg .. have a few months break shoot off 2 rolls first – now mix your 1L stock up develop the 2 rolls and you have another 6 months to shoot the other 4. The Ilford stop bath last 5yrs in full bottles and the fixer last 2yrs (ref Ilford). I purchase small glass bottles … I found that the stop bath I use very little, you use a lto of water with it .. I just used the stop bath as a “one shot”. Once you dilute Ilford says it last just 7 days. For the fixer a older fella told me that he reused the fixer a lore more (24 per 1L I think) but others showed him that his film showed fog. Now he uses 6 rolls per 1L of fixer working solution (mixed with water). I find that my 1L of fixer provides 5L of working solution that’s more than enough for me. Ilford says the fixer in conc form expires in 2yrs. Just got some Rodinal developer that may be an option if you like, it’s a high dilution developer and last 40yrs in half empty bottles I heard …. Hi David, Just developed my first ever film (120 ilford Hp5) following your instructions. Got fantastic results. So pleased. Thank you very much. First of many I hope! My comments are based what I have read in this article and a few other comments. I still teach classes in BW photography and use HC110. Its relatively environmentally friendly, having many of the same ingredients as baby shampoo. Don’t get it in your eye. HC110 does last a long time in terms of how many developing solutions it yields as it’s quite concentrated, however, do take notice of the expiry date as this developer will start to oxidize quickly after expiration date and turn a brownish colour from its useable yellow. In this case look to buy a new bottle as it’s best not to try and guess how much more of the developer you need to get the same strength solution. We find that presoaking the film , prior to developing, in room temperature water for about 5 minutes results in greater consistency of gray tones from roll to roll and somewhat finer grain if that is what you are after . And one does not always need to use a stop solution as using running water for 5 minutes after developing can also work though some development of the negatives will continue . Definitely use a rinse aid as the final step and squeegee light several time taking mind that the squeegee rubber should be softish and bendable, not hard and brittle. Don’t be afraid to experiment beyond manufacturers recommendation too. Last year a student of mine shot Iflord HP5 (best at 400) at 8000 ISO and developed for 23 minutes (HC110) to achieve quite acceptable high contrast images with decent dark and very light tones of gray.